Once upon a time, Los Angeles&apos; San Fernando Valley boasted its own theme park. The theme, ostensibly: Beer. Well, what else would you make the central focus of an amusement park located on the property of a major brewery? 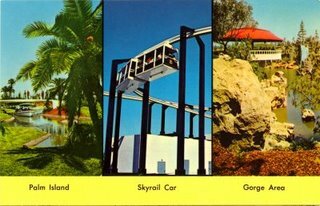 So how did beautiful Van Nuys, California wind up home to the lush, tropical, family-fun oriented Busch Gardens from 1966-1979? It began the previous century with a large-living man named Adolphus Busch, who worked in the brewery supply business in the 1860s in St. Louis, and who married the daughter of struggling brewery operator Eberhard Anheuser in 1861. By the time Anheuser died in the 1880s, the company had re-emerged as Anheuser-Busch, and was making Budweiser in St. Louis, and looking to go national. According to biographies, Busch lived an extravagant lifestyle that found him living all over the country and building palatial homes that drew spectators. One such home was here in Pasadena, with gardens on the property that attracted crowds to take a look, including after Busch&apos;s death in 1913, and the gardens were open to the public. Busch + Gardens = Busch Gardens. But Pasadena...what about Van Nuys? .Van Nuys came into the picture in 1954, when Anheuser-Busch opened its brewery there. The brewery was a welcome addition to the community; in fact, "soon after the brewery opened in 1954, and every Sunday for almost two years while their new church was being raised, the congregation of the Prince of Peace Lutheran Church held its prayer services in the Budweiser taproom and cafeteria," (Rasmussen). In 1966 August Busch Jr purchased adjoining land--a cabbage patch--and began to construct his theme park. 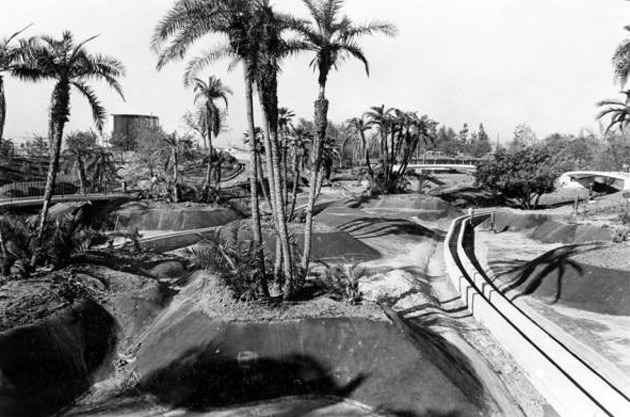 This Busch Gardens was a "$4-million theme park and tropical oasis, [added] to the Van Nuys brewery. The 17-acre spread included a monorail that snaked around the facility and passed windows that gave passengers a look at the brewing process" (LA Times). 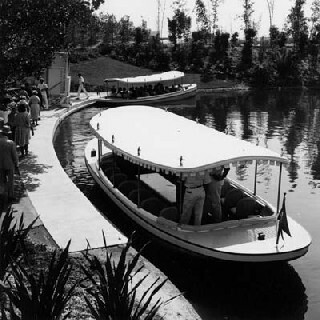 Busch Gardens soon featured a monorail, boat rides, bumper cars, lagoons, waterfalls, 2,000 birds representing 25 rare species from all over the world, live entertainment-and, once again, free beer. Busch&apos;s policy stated that visitors who were of drinking age could have two 10-ounce glasses of beer at each of the five pavilions for an admission price of $1.75-a fee that tripled over the next 10 years. The company was liberal with its "free beer" policy, which extended to the brewery&apos;s employees. This, curiously enough, wasn&apos;t a problem until 1982, when one employee who imbibed on his break wound up hitting and killing a 16-year-old pedestrian when he drove off the lot. It took several years of discussions between the workers&apos; unions and the brewery, but the free beer finally came to an end on May 1, 1986, and employees had to settle for two free cases a month instead of "beer breaks" they initially had in their contracts (Rasmussen). 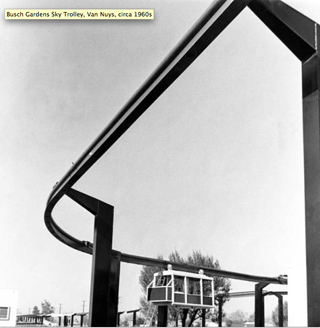 The actual tracks of the ride&apos;s remnants are still visible today on the North side of the Busch grounds along Roscoe Blvd, and passengers driving along the I-405 freeway through Van Nuys California will instantly recognize this building and the remaining tracks. Very sad to see them knowing the enjoyment people got from the ride. Among those who took that ride were current City Councilmember Tom LaBonge, who went as a teenager. LaBonge reminisced in an LA Times article: "It was amazing. It was a big treat to sit on the monorail and tour that big brewing plant." 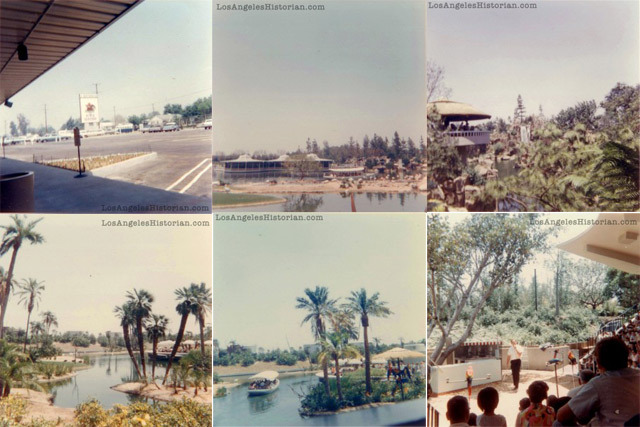 It was the expensive expansion in 1972 that saw the addition of the log ride and other attractions of the like, and necessitated the construction of a pedestrian bridge and another monorail line to adjoin the original brewery property to the new section of the park. Beer certainly kept the patrons coming, but many--especially the children--went to see the birds. Busch Gardens had plenty of &apos;em: "flamingos, toucans, macaws, storks, swans, herons, egrets -- more than 1,000 birds in all." There were bird shows, bird-focused tours, educational opportunities centered around birds. Attendance at the park began to dwindle, despite the free beer, the birds, and the rides. Anheuser-Busch was making a killing with their product, after all; it was in the mid-1970s that "light" beer was introduced, and it soon became extremely popular with domestic brewers. As a cost-cutting measure, Anheuser-Busch shut down the theme park in December 1976 and saved money by no longer having to operate or insure the rides and riders. Under the new plan, the brewery operated the grounds as "a free sales promotion facility," where "beer samples [were] free [and] there [was] no admission charge," just "a $1 fee for parking and $1 for the boat ride," instead of charging a $5.25 adult admission price (Kilgore). August A. Busch III, who ran the operations, noted at the time that "the Los Angeles Gardens has never been profitable," and that their "decision to convert [Van Nuys&apos; Busch Gardens] to a promotion facility will have a positive effect on earnings," (Kilgore). Instead they focused on the birds that they&apos;d become known for, and from 1977 on, Busch Gardens operated as a bird sanctuary. It officially reopened on January 5, 1977, and boasted "1500 birds of some 180 different species," ("New"). Many wandered freely, some were viewable from the boat ride, and the injured ones lived on their own little island at the lake&apos;s center. Guests began their trip with the 15-minute tour of the brewing facility, with audio narration provided by Ed McMahon. They got paid, but by 1979, the beer was more popular than the birds, and so the brewery opted to send the birds packing to various places, including the LA Zoo and to East Coast Busch theme parks, and to pave over the gardens in order to expand their brewing operations. "The announcement came after months of rumors that the bird sanctuary, which drew thousands of tourists annually to the Valley, was destined for closing to facilitate a multi-million dollar expansion of the beer production plant," (Willman). When the amusement park property was demolished, collectors like Helen and Jarvis Luechauer took advantage of the opportunity to furnish their Universal City-area home with all sorts of remnants, "including mahogany staircases, solid oak doors, 25-foot arched windows, enormous chandeliers and artwork," (Frey). The birds, however, still are thought to "haunt" the Valley. "Reminders of Busch Gardens still fly in the skies above the Valley. Some of the feral parrots and parakeets heard squawking overhead are believed to be progeny of birds that escaped from the park -- or survivors themselves," remarks They Valley Observed. Thousands of wild birds have been spotted in the air all over Los Angeles, from the Valley to the Westside to the San Garbriel Valley, from the 80s through now. "In the Valley, some suspect that the birds are escapees from the old Busch Gardens at the Anheuser-Busch brewery in Van Nuys. Hundreds may have fled private cages, possibly working their way through the bars with their powerful beaks," explains Aaron Curtiss, but notes that experts believe all these birds can&apos;t be attributed to just one event, like the closing of the theme park, or any single aviary&apos;s destruction. Kilgore, Margaret A. "Busch Gardens to Change Format in Economy Move." LA Times. Dec. 23, 1976. pg 1. "New Busch Gardens Bird Sanctuary." LA Times. February 19, 1977. Willman, Martha. "Busch Garden Dream Ends." LA Times. February 15, 1979. LAistory is our series that takes us on a journey to what came before to help us understand where we are today. Val Verde; Thelma Todd&apos;s Roadside Cafe; An eclectic house in Beverly Hills; Echo Park&apos;s Bonnie Brae House; Marineland of the Pacific; Grand Central Air Terminal; LA&apos;s Own Wrigley Field; How LA got its name; The wreck of the Dominator; The 1925 "Hollywood Subway. "; The Pink Lady of Malibu; Lions Drag Strip; Disneyland...when it was cheap to get in; The ugliest building in the city; Union Station; Union Station&apos;s Fred Harvey Room; A Smelly Mystery at another train station; The Egyptian Theatre; Pilgrimage Bridge; The "It" Girl, Clara Bow; Elias J. "Lucky" Baldwin; Get Involved! ; Houdini&apos;s House; Spanish Kitchen; The Platinum Blonde; Chutes Park; Fatty Arbuckle; The Brown Derby; Griffith Park; The Outpost Sign; Cross Roads of the World; Sowden House; Monkey Island ; Carthay Circle Theater; The Post-War House & the Home of Tomorrow; Dan the Miner; Tropical Ice Gardens; William Desmond Taylor; Alligator Farm; Schwab&apos;s Pharmacy; Tail O&apos; the Pup; Good Reads; Fatty Arbuckle&apos;s Plantation Cafe; The Garden of Allah, Mapping LAistory, The Pan Pacific Auditorium; Pickfair; Tower of Wooden Pallets; Hollyhock House; Randy&apos;s Donuts; the Ennis House; Helms Bakery Coaches, The Ambassador Hotel; The Cocoanut Grove.